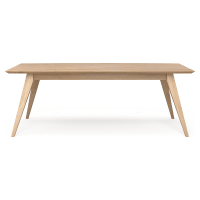 Find the perfect focal point for your home with a well-chosen timber dining table, available from Brosa's extended selection. Shop a range of pieces in every style, from classic to contemporary. If you are looking for a timber dining table to suit family meals, extended dinner parties, or anything in between, there's something for you. A range of shapes are also available, whether you're after a table that is round, square or rectangle, take your pick! Every piece of furniture from Brosa has been crafted using premium quality materials by an expert team of makers. 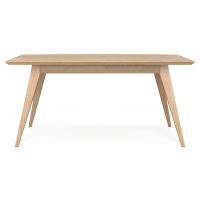 Therefore you can be assured you'll have a timber dining table made from the finest wood, which will be looking great for years to come. 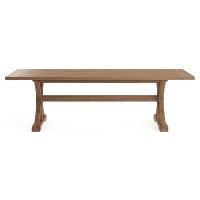 Complete your dining room setting with a range of storage pieces, which come in similar shades of wood to match your timber dining table.